We are pleased to announce that 11th Grader Emily Smith is a 2019 Coca Cola Scholarship Regional finalist. Emily was chosen in the top 250 out of 95,000 applicants in the United States! According to Coca Cola, Emily is the youngest regional finalist in the Coca Cola Scholarship history. Emily has been an ambassador of the National Society of High School Scholars since 10th grade and won the 18th Annual Dr. Martin Luther King, Jr. State Poetry contest (of over 1100 entries). She is the founder of “Lend A Paw”, an organization that provides goods and services for animals in need in Japan and Hawaii. 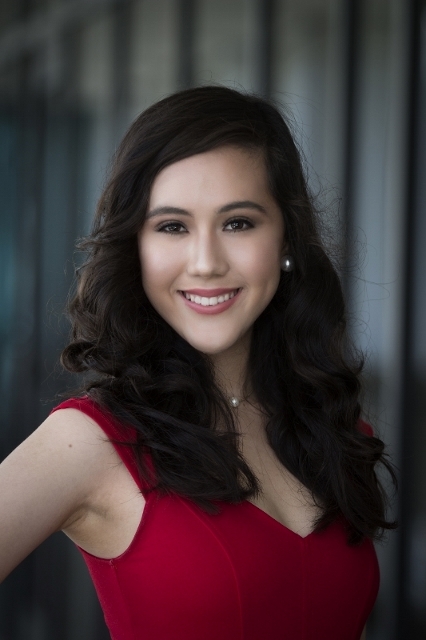 This project allowed her to achieve two notable awards that include the 2019 Violet Richardson Award and the 2018 Prudential Spirit of Community Service Award as a Hawaii finalist. In addition, Emily’s 2018 short film “The Mural” was chosen and screened at the 38th Annual Hawaii International Film Festival. She wrote, directed, acted, and edited this film. Through her outstanding accomplishments in school, Emily has earned a sufficient number of credits and will be graduating one year early to pursue her dream of entering a prestigious college in California to study film production. We are proud to have Emily represent Ho`ala School in her many acomplishments.